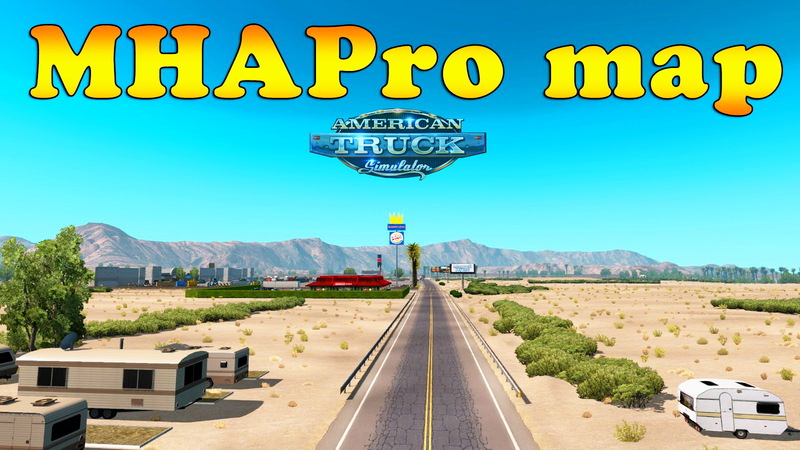 Download mod MHAPro Map ATS v1.33.x for American Truck Simulator game. Map of Europe, this map rebuilds and saturates the standard map, adds new cities and towns. Compatible with many cards that do not affect the standard, for example RusMap, EAA, PJ Indo Map, etc. 22. overlook road 376 from north to south. 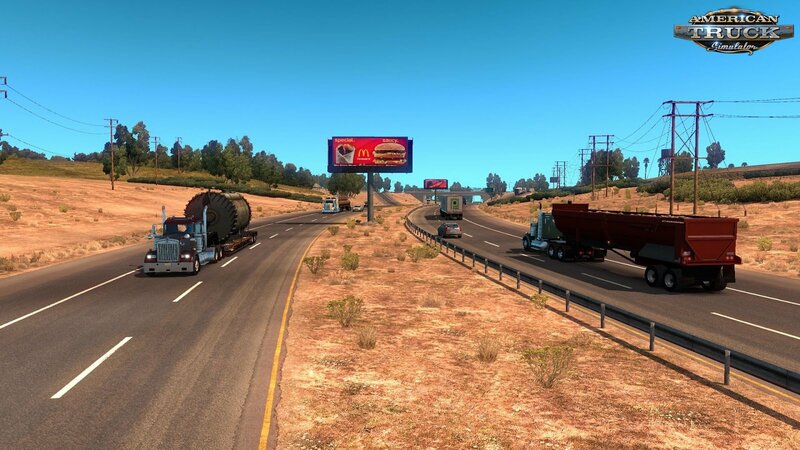 - new parking places etc.